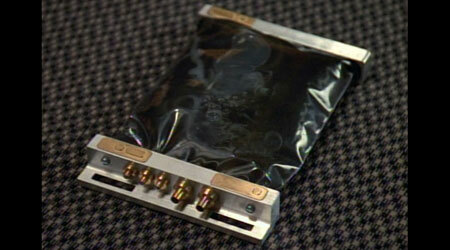 Bio-neural gel packs are the latest advance in Starfleet computer systems. Starfleet has deployed them on the newest classes of starships such as the Intrepid class. The gel packs consist of a traditional isolinear interface and a package of gel containing artificial fibers that resemble human neurons. These fibers are capable of forming billions of inter-connections, which has the effect of creating a complex computer architecture. The gel packs are designed to use fuzzy logic, or best guess algorithms, when processing data making them very similar to how living organisms operate. Calculations that traditional isolinear chips are incapable of solving are easily guessed by the gel packs. The primary function of the gel packs on board a starship is to perform optimal fuel and warp calculations. The gel packs are also able to form sentient holograms because of their resemblance to artificial neural system. Since the gel packs are made of organic material, they can become infected with viruses and bacteria, but are treatable by standard human medical procedures.